By using the Betts-Miller-Janjić, Grell-Devenyi, and Kain-Fritsch cumulus convective parameterization schemes in theWeather Research and Forecasting (WRF) model, long time simulations from 2000 to 2009 are conducted to investigate the impacts of different cumulus convective parameterization schemes on summer monsoon precipitation simulation over China. The results show that all the schemes have the capability to reasonably reproduce the spatial and temporal distributions of summer monsoon precipitation and the corresponding background circulation. The observed north-south shift of monsoon rain belt is also well simulated by the three schemes. Detailed comparison indicates that the Grell-Devenyi scheme gives a better performance than the others. Deficiency in simulated water vapor transport is one possible reason for the precipitation simulation bias. 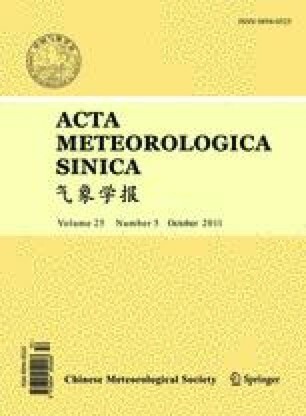 Supported by the National Basic Research and Development (973) Program of China (2009CB421406), National Natural Science Foundation of China (40875048 and 40821092), and China Meteorological Administration Special Public Welfare Research Fund for Meteorological Profession (GYHY200906018).